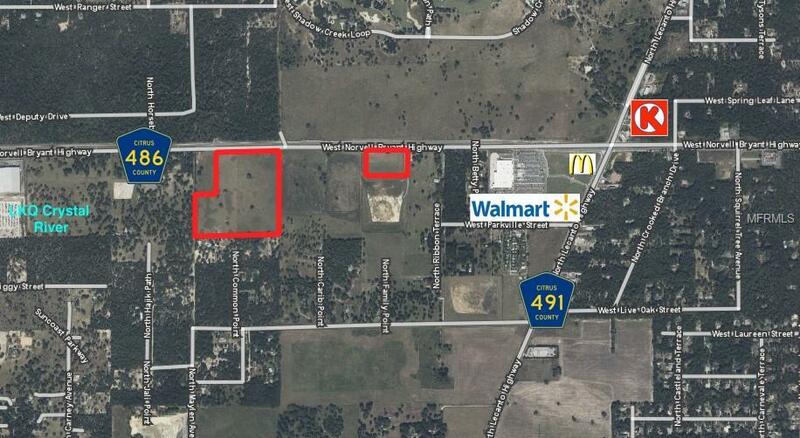 The opportunity is to develop two parcels located at 3768 and 4134 W. Norvell Bryant Highway, Lecanto, Citrus County. One parcel is located at 4134 W. Norvell Bryant Highway and consists of 34.79 acres The 2nd parcel is located at 3768 W Norvell Bryant Highway and consists of 5.98 acres with off-site retention. There are leases on both parcels for the billboards that can be terminated upon sale or development. There are utilities along the frontage of Norvell Bryant Highway to support the type of development the land is now zoned for.